My 8 year son, like many of his friends, is a Lego fanatic. He spends hours in his room alone connecting pieces—creating, reshaping, organizing his little blocks into worlds that perhaps only he can fully understand and appreciate. Like all proud parents, I often gaze in awe at his creations. Recently his focused has changed. He used to play with the Lego people—lining them into little encampments and battles. Now he is building elaborate worlds by placing the blocks into fields of the color and organized structures. Hallways, floors and rooms have been organized into logical spaces. With the pace and fluidity of an innocent child, he creates these worlds with ease—and the logic of them evolves until a theme emerges. The result is an organized structure that, in his mind, relates to the outside world. If I’m lucky he will attempt to explain these worlds to me. This evolution of focusing on the people to focusing on the blocks seems to be totally organic and consistent with his age. Instead of creating worlds and telling stories with figures, he’s creating worlds from abstract bits, and the organization of the bits creates a place. The place tells the story. I truly believe that deep inside us is a desire to create order. Our understanding of the world around us is built on our own recognition of patterns. Patterns create logic, logic creates understanding and predictability. Design is the aesthetic representation of this logic. In science we learn that entropy is the measurement of chaos in a given system, design is the process of containing that chaos and putting into forms that are recognizable, predictable and calming. Of course, a great artist can play with the tension between chaos and order, but in the end it is the human ability to act against the chaos that makes Design such a critical part of the human experience. Design is everywhere: our clothes, streets, signs, buildings, shoes. It is in all of technology and all of nature. Design is everywhere and in everything. When my son started focusing on the blocks and designing structures instead of using the Lego people to tell stories it meant that his understanding of the world around him had grown. He became more cognizant of the Design of things – his environment, its patterns, structure and order. The little blocks allowed him to sketch out and explore his observations so that he could have a better understanding of Design. The Design of the world around him—the natural Design and man-made Design—were working through him. He was adding his own spin onto the language of Design that he had assimilated through his own life experience and observation. If my son were to sit down in the middle of group of hunters and gatherers, 10,000 years ago, and built his Lego world in front of them, my guess is that these people would be shocked – he would appear to them as a freak, an alien or some kind of deity. In his short 8 years of life he has observed and absorbed the result of 1000s of years of Design and Technology. The Designed World—the evolution of Technology and Design that encompasses most of our current reality, is the result of this generation of humankind building onto countless other generations of humankind. The knowledge that we have in us now, is the accumulation of knowledge that has come before. Therefore, when my son designs his worlds he might be alone in his room, but his mind is not alone, it is a product of all human endeavor. Each individual acts upon this pool of knowledge in hopes of making their own contribution. When I started designing websites in 1995 in New York City I could not have been in a better place at a better time. The World Wide Web was in its infancy, New York City was a vibrant ecosystem of youth, enterprise, ideas, ambition and optimism. I jumped in head first. This was a brand new world of design, and I could be one of the pioneers, laying the first few bricks upon which future designers could build. The people I met at the time came from all different backgrounds: they were musicians, visual artists, sociologists, scientists, anthropologists and philosophers. We didn’t consider ourselves designers, programmers or managers. We made up our own labels. We were alchemists, theorists, explorers and evangelists. This was the Digital Wild West and we were making it up as we went along. In those days, just putting a website up and getting it to look close to what you had imagined was a feet unto itself. The idea of Design back then was hard to remove from technology. Most of us building websites in the early days had figured out how to work with the technology, so by default we were the ones doing the design. When artists with a more advanced sense of aesthetics came in and started working with “the programmers” it created some tension (it still does). However, quick individuals determined on their own how to best contribute, some working on aesthetics, some on code others on documenting standards. As time progresses and with 1000s us working together—designing the sites, advancing the techniques, setting the standards—we were building the beginnings of what we have now– a global sandbox for sharing knowledge and ideas. The structure and design of which continues to grow and evolve as the medium and technologies advance. Stage 1 – was the early stage of working with Netscape and laying things out the best we could using very basic HTML. Stage 2 – The use of tables and grid systems that locked designs into fixed dimensions. It’s not really too important to put dates on these stages. But it’s safe to say that we are working in Stage 4 and Stage 5 currently–mostly working in both simultaneously. Each stage has what I would call a Design Reckoning or “cleaning house” in which a new stage cleans and restructures the mess made by the previous stage – organizing the chaos. Stage 2 created order in the complete lawlessness and disorder of Stage 1, Stage 3 improved upon the aesthetics of stage 2 and eliminated a lot of unnecessarily complex code. Stage 4 removed some of the data sharing and search limitations of Stage 3 (flash) while also simplify and improving on Stage 2. Stage 5 is the advancement of stage 4 to allow for more flexible designs that easily and dynamically resize to fit different devises (mobile). With each of these 5 stages of web design, there has been a re-examining of web design under the prism of Form Following Function—the code needs to be simple and clean, the design needs to function well with new technologies, there needs to be a process for sharing improvements with a community of developers etc. The Design that looks good, and feels good is often reused, shared, adapted and evolved. These are the Designs that generally follow the principle of Form Following Function. Technology is a force unto itself and it advances the requirements for Web Design and Development forward. Web designers did not invent the mobile phone, but we are now building upon our pool of knowledge to create interfaces that work well with that technology. The idea of Form Following Function as it relates to Web Design is the force that turns the technological chaos into order. When the requirements presented by the mobile phone were made clear, we did not simply add onto what we had already built, but we stripped it back down to the essentials and then built it back up – this is Form Following Function in Web Design. In addition to Technology and Design the third leg of Web Design is Community. Each stage of development is the cumulative effect of a community advancing the design techniques and aesthetics forward as a group, and not as individuals working alone. The idea of a community working together on the advancement of knowledge and technology is not new. However, because of the internet it is light years faster than it has ever been before, making it virtually impossible to assign credit to any one individual on the advancement of the technology as a whole. Having worked with website code and templates that are the result of many developers working together one can see and feel the effects of this process. Jumping in and changing something that was created by someone else is at first odd, almost like cheating, but in the end I think it is the most honest and transparent way to work. No one person or business is responsible for the technologies we have today. We are all responsible for it, as are all the people that have come before. In a way, when I am designing and building websites, I am not too different than my son playing with Legos on the floor of his bedroom. 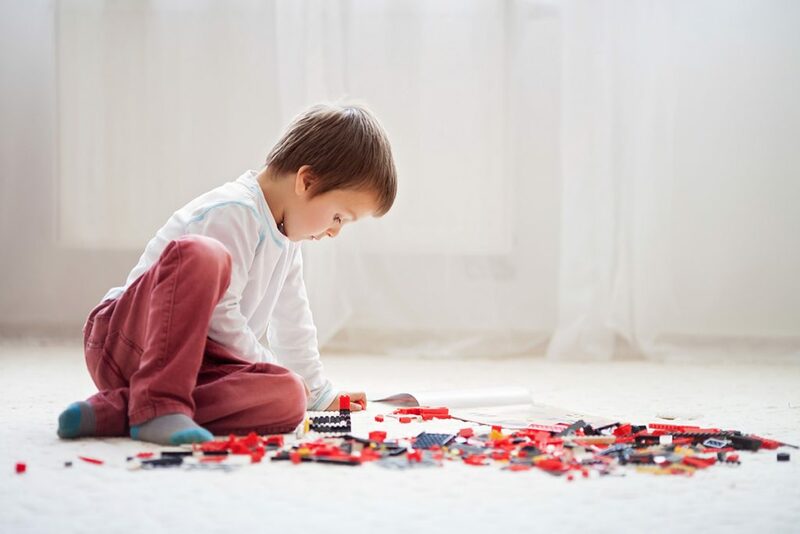 He did not invent the Lego, nor did Lego invent plastic, or the idea of interconnected blocks. My son did not invent the concept of structures with walls, rooms, hallways, wings, roofs and wheels. But when he is on his floor, designing, all of this collective knowledge, aesthetics and technologies are in his creations. And now, when I design and build a website, I am using the knowledge we have pooled together as a community—restructured, reorganized and improved upon—over the last 2 decades. In a way, I am working with the same Digital Lego blocks that I helped to create as a very small part of the Web Design community years ago. Who knows what this industry will look like, years from now, when my son is my age. What will the digital Lego blocks of the future looks like? I’m not exactly sure but I have faith that the community will get it right.